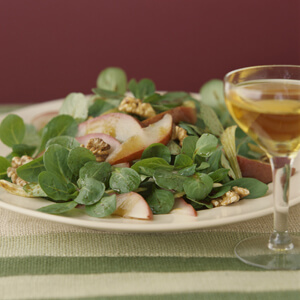 Pears hit a sweet note in this spicy salad. For salad: Dip pear slices in diluted lemon juice to prevent browning. Toss together shrimp, cucumber, carrot, and cilantro or parsley. On individual salad plates, mound shrimp mixture on bed of greens. Arrange pear slices at edge of plates. 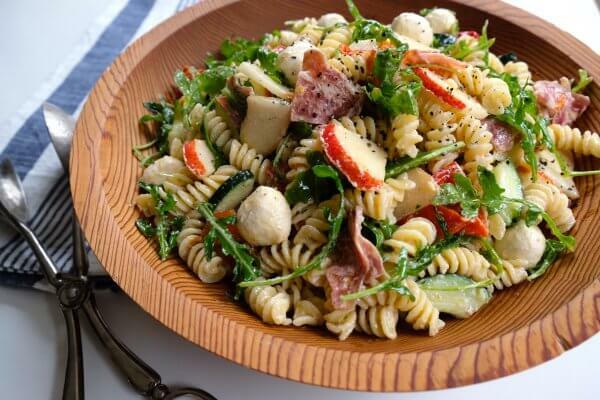 Serve with Hot Peanut Dressing.